Say ‘NO’ to bad hair day – a good hair day is just a few spritzes away. Your hair is your crowning glory – let's be real here, better-looking hair makes our day better, and we are here to provide you with all sorts of hairsprays to make you selfie-ready all day every day. Want a super strong hold and hair that will never budge no matter how strong the wind blows? This hairspray is all you need. A little shine and a stronghold go a long way. Best choice to tame unruly hair for an evening out with the girls! Its micro-diffuser spray gives a soft, shiny finish while delivering enough hold to your hairstyle. 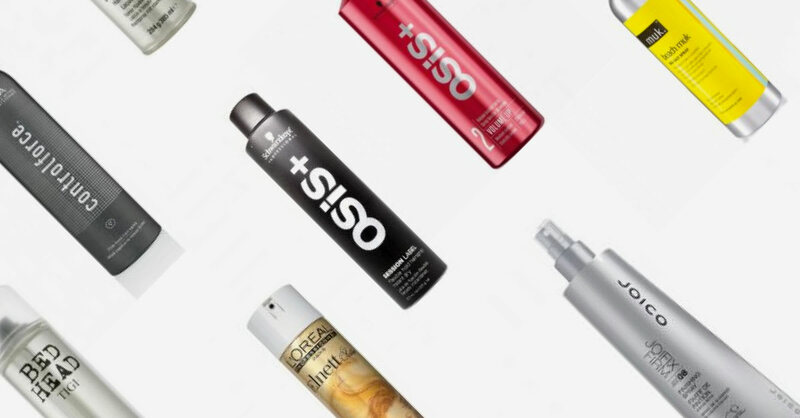 This hairspray will be your new best friend if you love a strong hold hairspray that leaves your hair brushable every time you wish to restyle it. A Holy Grail which provides all-day hold and maintains the shape to your finished style. With Bio-Advanced Peptide Complex proteins, KuKui Nut Oil and Panthenol, Joimist gives you UV protection, shine and hold all in one product. Look no further, Aveda is here! While offering a lasting hold to hairstyles, this product also offers humidity defence, plus it has net-zero climate impact too. Now you can have beautiful hair all day and save the Earth while you are at it. Envy the curls that the runway models have? You can get them easily with this instant dry hairspray formula which guarantees hair shaping precision. Its unique memory effect will retain curls and shapes even after brushing it out. A heat activated spray that ensures a smooth finish when blow drying your hair. And it also protects your hair from the heat of your hairdryer. Another extra brownie point for this product because of its bamboo and pineapple extract – well, who doesn't want a fruitily scented hair? To spray or not to spray? Fret not, this volumizing spray creates instant volume, lift and body for your hair, making it looks full and healthy. Your hair will feel natural like you are born with it. Get the beach hair without going to the beach; Beach Muk Sea Salt Spray is all you need to get that texture – ‘I just came back from the beach' look. The Award Winning Australian Brand hairspray will give your hair a tousled look with amazing texture in seconds. Give your fine, limp, straight hair a little curl and natural body.